I did not do well last week. There were some surprises as struggling teams dug deep. Vancouver demolished the Seals in San Diego just six days after putting up five goals in a loss to Calgary. That Calgary team that couldn’t score even 10 goals against Vancouver, rode into Saskatchewan and won by five. Philadelphia couldn’t hold the momentum and dropped a close game to the Mammoth. Thankfully, New England and Buffalo pulled out wins. Buffalo seems to be the top team in the league right now. They have now held three East Division rivals to under 10 goals after beating Georgia 19-9. Let’s see what this week holds for us! 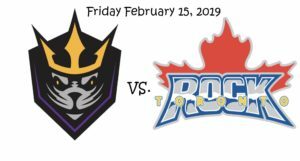 Toronto, the top seed in the East, had a week off and they come back to host the Seals at home in the first matchup of the weekend. San Diego, despite losing last weekend are the top seed in the West. Championship preview? I don’t think so. San Diego has found immense success this year and it is surprising for a new franchise to start off so well. The veteran Rock will not give this game away and win easily. The Black Wolves outplayed Rochester last weekend and the Wings fell to the Mammoth in a battle of last place teams. 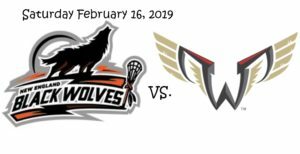 There is a bit of a storyline here as the original Wings franchise moved on to become the New England Black Wolves five years ago leaving die hard Philly lax fans angry. This is the first and second meeting in what is sure to be a rivalry. Kevin Crowley will see the old team for the first and second time and visit Mohegan Sun Arena for the first time since holding out the beginning of the season. The two games in two days, home and away promises to be electric. 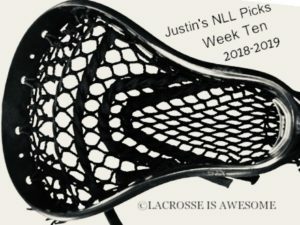 The Wings have had difficulty putting a whole game together all season, while the Black Wolves have proved they can’t be overlooked. I think Crowley has two big games, but Philadelphia loses both games on the weekend. Buffalo is still hot. They just held Georgia to nine goals; previously held New England to five; and Rochester to four. The offense is really clicking, and the defense led by goaltender Matt Vinc looks impenetrable at times. Calgary just won in Saskatchewan which is a big deal as well. They have struggled at times putting up goals and they will have trouble in Buffalo. 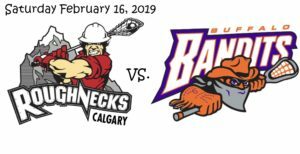 Bandits win big again. 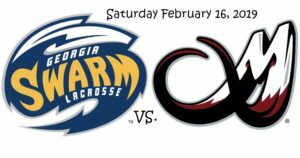 Georgia got handled last weekend at home against the Bandits. Colorado got their second victory of the season against the struggling Wings. There is no way the potent Swarm offense gets held to under 10 goals again and with the way Colorado’s offense has looked at times, 10 may be all they need. Saskatchewan has now dropped three in a row. The defending champions look rattled. Vancouver dug deep and beat the Seals last week. If you asked me before the season who would win this week it would have been Saskatchewan, no question. That’s why we play the games though right? Despite the heroic effort last week, I don’t think Vancouver can sustain it for another week.